The smaller Iberian neighbour of Spain to the west, Portugal is nonetheless big in raw natural beauty. With its entire west coast facing the Atlantic Ocean, Portugal is mecca for beach lovers and water sports enthusiasts of all stripes, most of all surfers who come here for Portugal’s massive waves rolling in from the Atlantic. But there’s more to this country than 1,800 kilometres of coastline: cobblestone villages, medieval castles, and ancient stone carvings and other megaliths add another layer of interest to the Portuguese landscape. 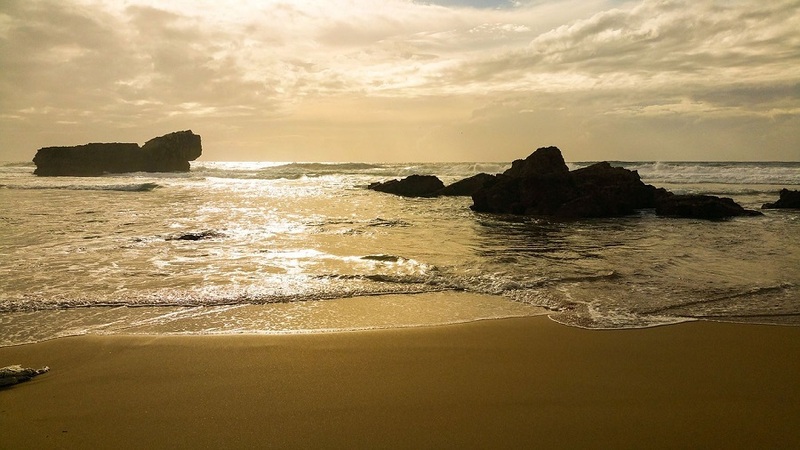 All you need to do is pick up a motorhome rental and let your curiosity bring you to places of endless wonder on one of the Portugagal scenic drives. Portugal’s North-South orientation along the western shore of the Iberian Peninsula makes it easy to go on a scenic drive on a motorhome rental to see the scenery change from the lush green mountains of the north, to the rugged mountains and falls in the centre, to the almost arid landscape of the south central. With more than 20 different wave conditions, the Atlantic coast makes Portugal the best surfing destination in Europe. On top of that, kitesurfing, biking, hiking, off-roading and golfing are all popular activities in the region. 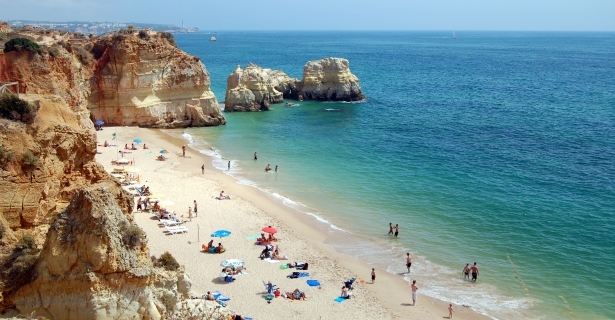 Pick up locations for your motorhome rental are in Porto airport in the north, Lisbon airport in the capital, and Faro airport in the deep south if you are keen to swim in the crystalline beaches of Algarve. 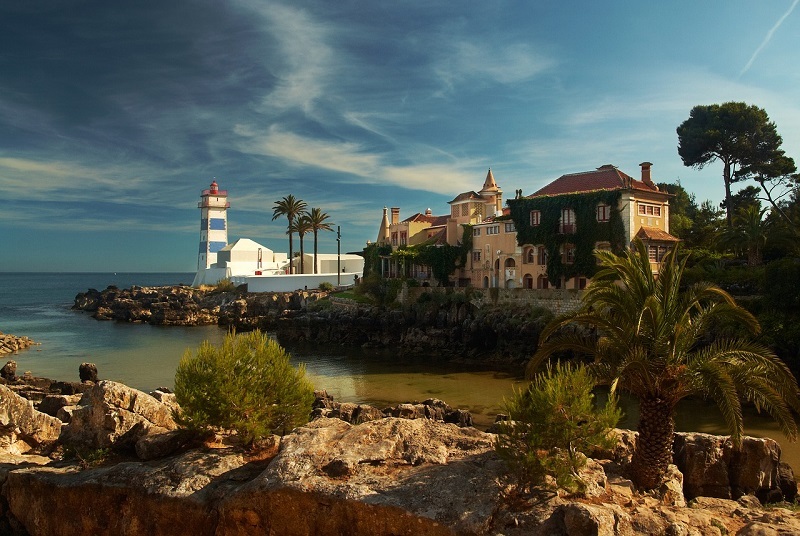 West of Lisbon, Portugal’s capital, the coast of Estoril stretches for more than 30 kilometres and enjoys mild climate, attracting the royalty in 19th century and affluent families today, making it a kind of Portuguese Riviera. 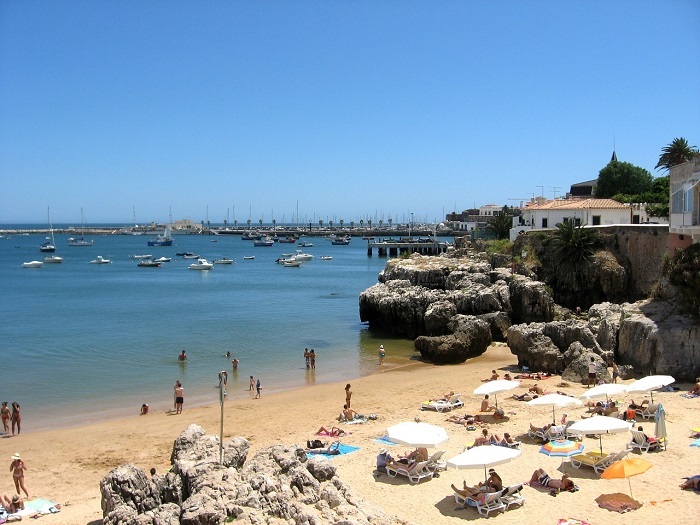 The drive to Estoril coast follows the waterfront road from Lisbon and hugs the Tagus River. Along the way, you will spot numerous forts that were once used to defend the capital. The Estoril coast is a scenic drive all its own – wind-battered cliffs and crowd-free stretches of sandy beach are the perfect backdrop for crashing waves. Right by the sea, the Citadel Palace in Cascais, perched at one of the highest points, is hard to miss. Take a break in Cascais for a sumptuous plate of fresh seafood. Also on the Estoril Coast is Sintra, a town popular for being on the “edge of the world.” Cabo de Roca marks the westernmost extend of continental Europe. Top tourist draws also include the 19th century Palacio de Pena and 10th century Moorish castle when Cascais was under the rule of Sintra. Sintra-Vila is filled with dreamy gardens and dotted with pastel-coloured manors tucked into lush hills that gently slope down to the blue waters of the Atlantic. The scenic Sintra Drive takes you through wooded hillsides and verdant mountain valleys of the Sintra-Cascais Natural Park, a UNESCO World Heritage Site. 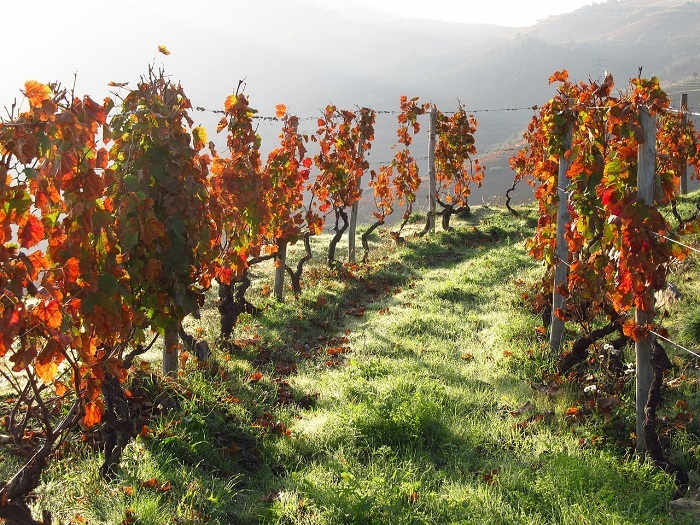 The Douro Valley is the world’s first DOC-designated (protected designation of origin) wine region where the red and sweet port wine (Vinho do Porto) is produced. The road winds, dips and rises as it follows the Douro River. The views are postcard-worthy, with steep terraced vineyards sloping down to the river and hugging the bends. The rolling terrain is dotted with sleepy towns and villages, castles from the time of Reconquista, whitewashed wine estates, and lookout points to gaze into the horizon.